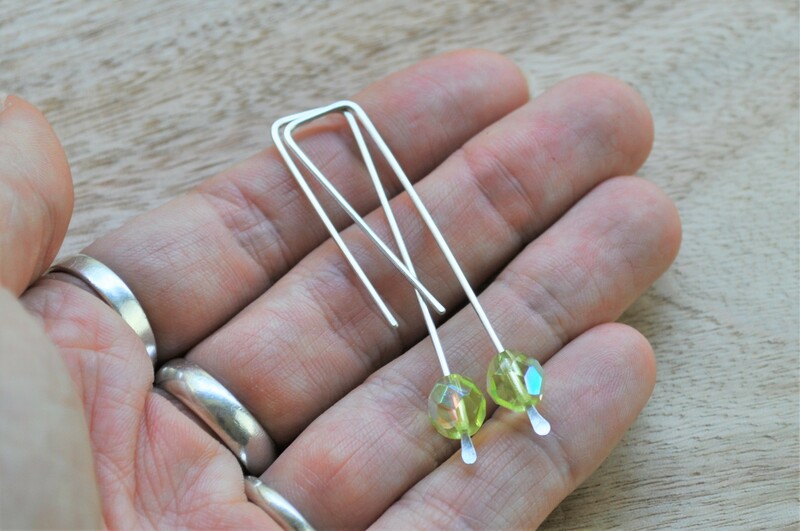 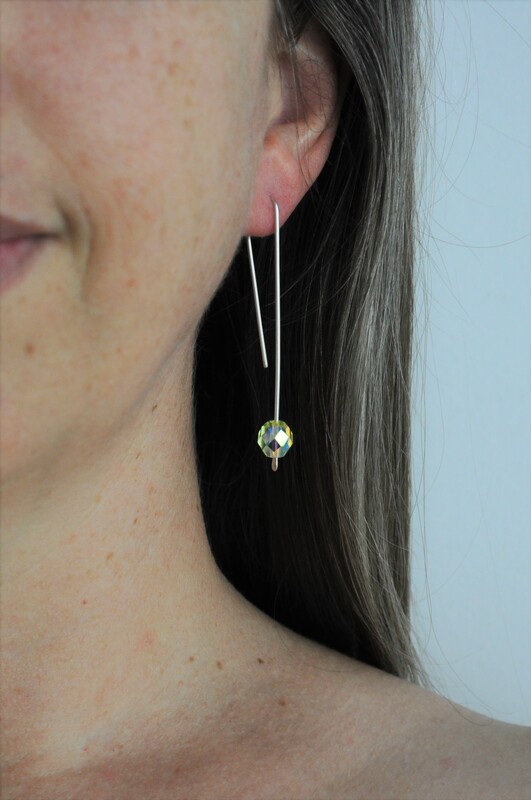 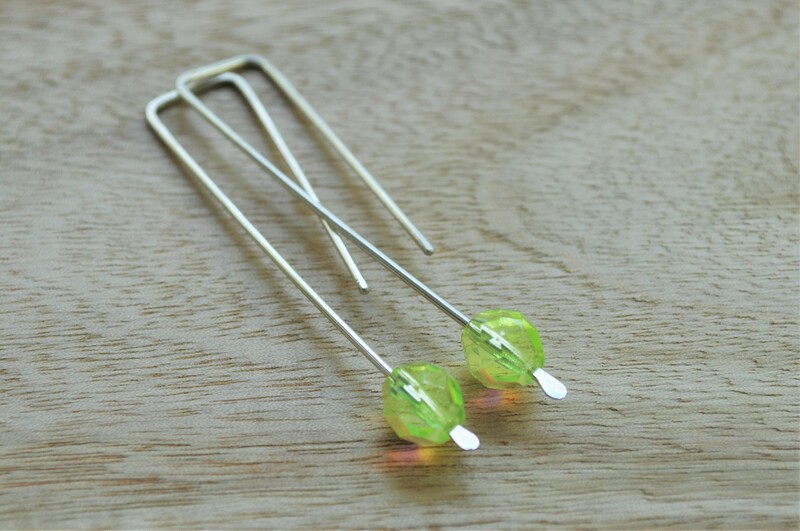 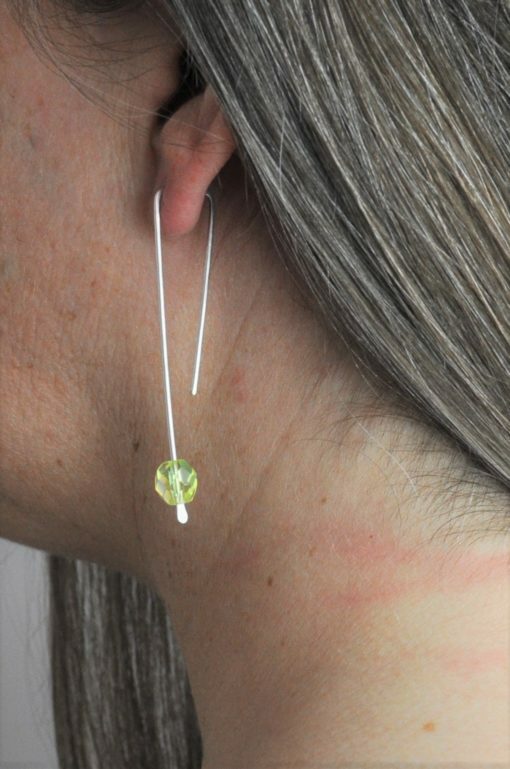 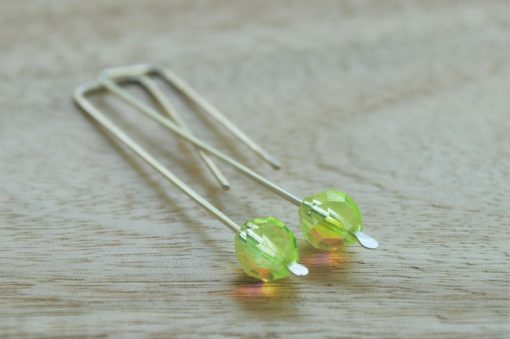 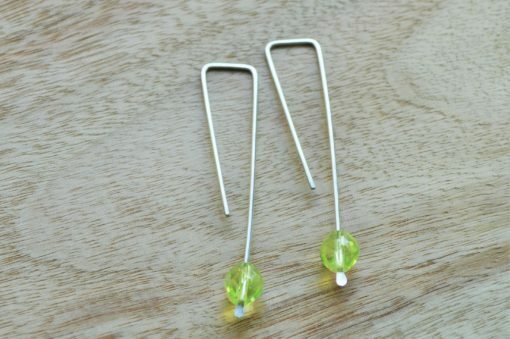 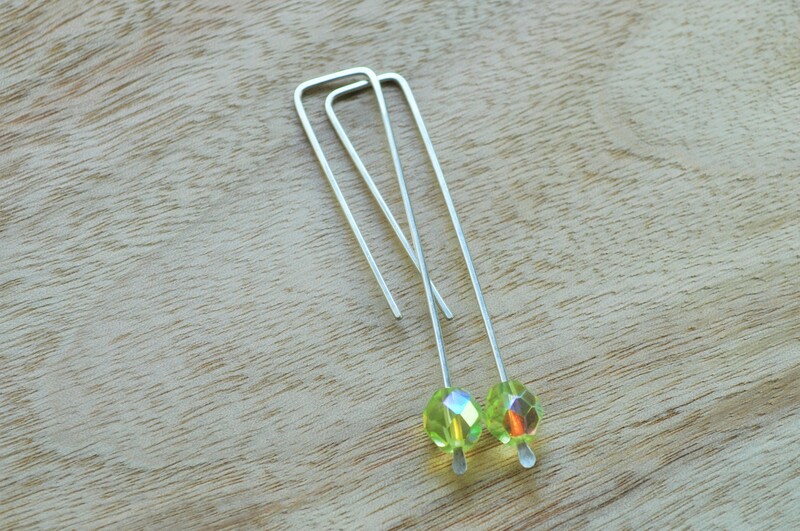 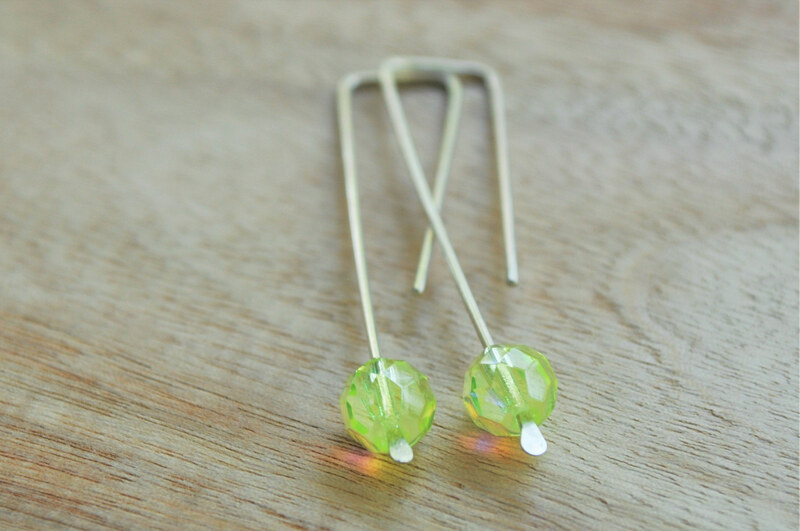 A modern, sleek design – these angular sterling silver threader earrings are light as a feather, featuring a pair of Czech fire polished crystals in a lovely lemon yellow with AB finish that catch the light as you move. 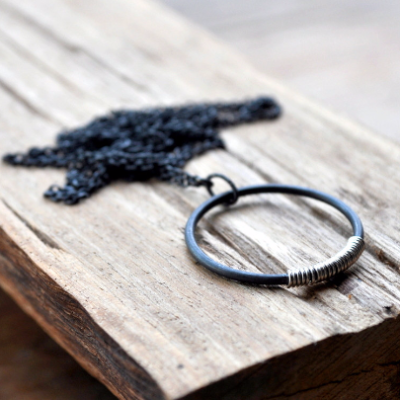 What is an AB coating? 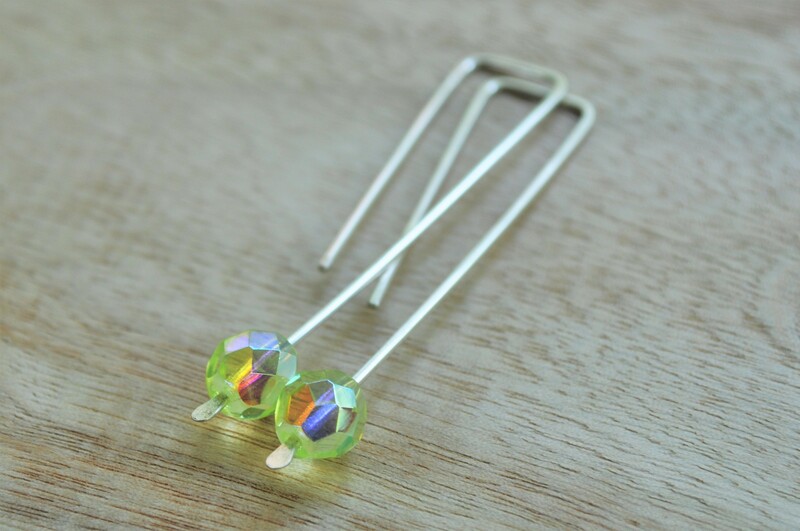 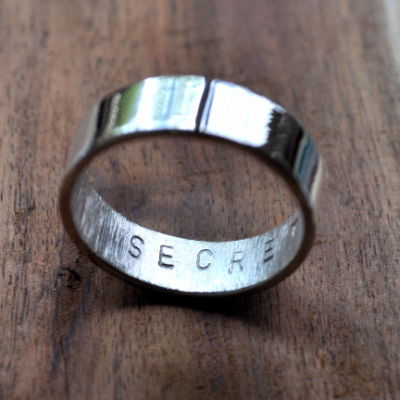 It stands for Aurora Borealis, and it indicates that (in this instance) a section of the bead features a coating that reflects rainbow colours.